Delaware School Board Elections will be held on Tuesday, May 14, 2019. Voting will be between 7:00 am to 8:00 pm. To vote you must be at least 18, a citizen and a resident in the school district holding the election. Advance registration is not necessary. A listing of Susssex County public school with links to the district websites can be found here. Cape Henlopen, Indian River, Seaford, and Delmar school districts have contexted races for school board positions. Candidates for the Cape Henlopen and Indian River school boards agreed to participate in forums prior to those elections. The Indian River school board candidates forum, sponsored by the League of Women Voters of Sussex County was held on 4/10. A video of the event can be found here. The League sponsored forum for the Cape Henlopen school board candidates was held on 4/23; the video can be found here. Visit the VOTE411.org site to find out who is running in your school district and learn more about the candidates and their positions that relate to your district. The League of Women Voters developed VOTE41 1, a fair and impartial (politically neutral) source of election information. Vote411 is provided as a free public service to the voters of Delaware and around the country. Normally this online tool is available during midterm and presidential election years, a few months prior to those elections. 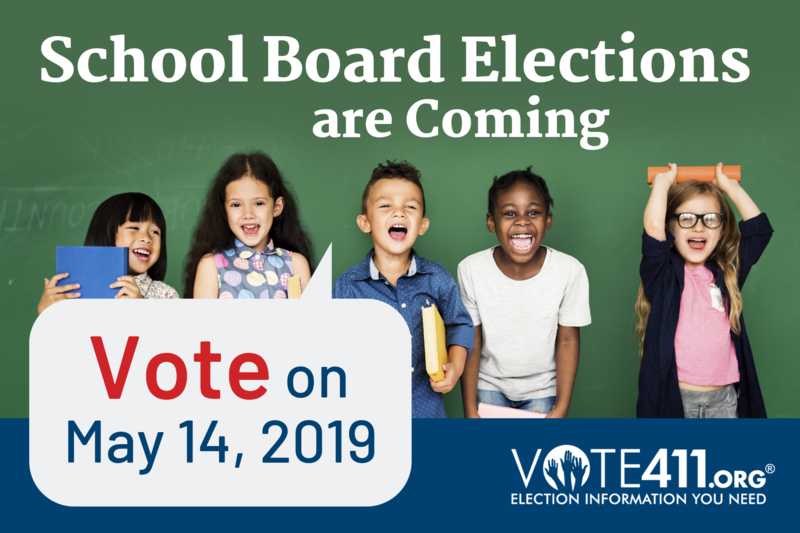 This year, however, the League of Women Voters of Delaware is using VOTE411 to provide information about candidates for local school boards. Check out VOTE411.org to find out about candidates in your district. Please refer to information on school board elections at the top of this page. Visit www.VOTE411.org prior to each election to see a sample ballot for your location, compare the viewpoints of the candidates for those races, and text or email yourself your candidate selections for later reference. The website also offers links to general election information for the state of Delaware, such as election dates, registration deadlines, and polling places. Are you registered to vote? Do you want to change your party, your address, your name? Go to iVote.DE.gov to register online or to find out how to change personal information, how to vote by absentee ballot, what to do if you are overseas in the military, etc. You can also register to vote via mail by printing and completing this form and returning it according to the instructions. The form can also be requested by calling the Department of Elections Sussex County Office at 302-856-5361. Voter registration can be completed in person at 119 N. Race St, P.O. Box 457, Georgetown, DE 19947. Or you may register at any of these agencies if you have other business there: Division of Motor Vehicles, Department of Health & Social Services, and the Department of Labor. Extensive information about Delaware state goverment can be located online. The website, https://delaware.gov, lists state officials with links for contacting them. Additionally, links are provided for other government officials, agencies, and services. Find your legislators by entering your address into the box provided. The Delaware General Assembly website, legis.delaware.gov, provides a legislative calendar, information on bills and legislation, Delaware laws, and committees. Links to State Senators and their districts can be found here, and Representives here. The Delaware General Assembly granted Sussex County home rule in the early 1970s, converting the old Levy Court into the current Sussex County Council comprised of five members elected in and for specific geographic districts for four years. This forms the legislative authority of the county, which appoints a "County Administrator" who oversees the executive branch departments. Information on the government structure, administration, department listings, etc. can be found on the Sussex County website. County council members along with their district maps are listed there as well as the traditional "Row Offices" of Clerk of the Peace, Recorder of Deeds, Register of Wills, and Sheriff who are all elected at large. Appointed boards and commissions are listed, including the Planning and Zoning Commission and the Board of Adjustment which play particularly important roles in administering county land use ordinances. Sussex County has an audio/visual system for broadcasting meeting events. To watch a broadcast, please click on this link and then select "Watch" from the options on the left in order to view the broadcast in full-screen mode. Town and city charters determine voter qualifications for municipal elections. Some allow property owners who are not full-time residents to serve on the local council or commission. Most municipal elections are held separately from general elections in the state. To vote in city or town elections you must register with the local jurisdiction. The Directory of Delaware Municipal Officials provides links to websites of 25 incorporated local governments in Sussex County, each with its own local mayor and council or commission. You can find contact information there. To vote in city elections that are placed on the state general election ballot a person must be registered with the state before voting. School board elections are held in May. Please refer to the information on upcoming school board elections at the top of this page. To vote in school board elections a person must be a citizen and a resident in the school district holding the election and be at least 18 years of age. Advance registration is not necessary. Contact your local school board for more information. A listing of Susssex County public school with links to the district websites can be found here.